For 2012 the colors on trend for home exteriors continue to have a strong influence of nature. While the story begins with the environment the colors are are also inspired by technology, science, architecture, fashion and art. These influences can be seen in all of the exterior color trends. 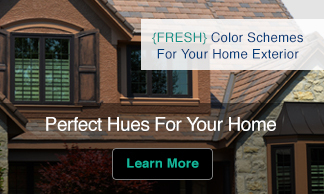 During the next few weeks leading up to my presentation at the NAHN International Builders Show I will be sharing information about the Color Trends for Home Exteriors for 2012/2013, including how to use think about these colors when selecing a color for your siding, lightweight roofing system, replacement windows, or a new front door. Today, I’m beginning with a glimpse into what is driving the three most influential color ranges: blue, green and neutrals. Our focus on clean water as element essential to life keeps blue flowing into the trend palette for another year. The blue trend is also being inspired by our love of denim. From the darkest indigo to the lightest faded blue, denim speaks to our need for both fashion and function. “Going green” has become the norm and the movement continues to keep green on trend. Natural yellow green might first come to mind when you think of natures influence but you will see an entire range of greens in 2012. From dark, and mysterious to murky, muddy greens and lush, leaf greens. 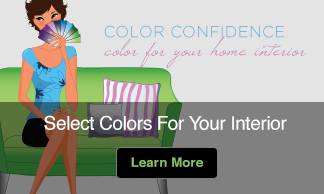 Versatile green may stand alone, be seen in combination just any of the other color families or be layered tone-on-tone. The one common characteristic that connects all of the variations of green is that they are all drawn from the elements of the unspoiled landscape. We have gone from asking, “What more can I acquire?” to “Would life be better with less? A more streamlined life calls for design that employs modern technology, uncomplicated materials and natural colors that make our complex lives easier or at least seem easier.